The hot fruit of the cayenne plant is what you probably know as cayenne pepper. This spice was used as a remedy for thousands of years and it’s also popular in the traditional and modern medicine because of its amazing health benefits. How Cayenne Pepper heals your body? From eliminating cancer cells to restoring your gut wall and helping to lose weight, cayenne pepper is a powerful superfood that you should use more frequently. Cayenne pepper (Capsicum) is used for many problems with digestion such as diarrhea, cramps, stomach pain, intestinal gas, etc. Also, it can be used for heart and blood vessels issues such as poor blood circulation, high cholesterol, excessive blood clotting, and preventing heart disease. The cayenne pepper contains an active ingredient known as capsaicin, which according to studies from the University of Pittsburgh School of Medicine treated pancreatic cancer cells. 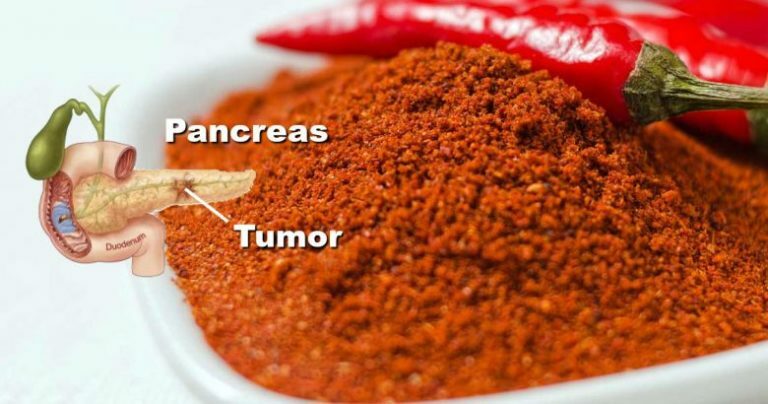 In this study, capsaicin induced apoptosis (programmed cell death) in cancerous cells without affecting normal pancreatic cells. In another study, scientists found that capsaicin stopped the growth of human prostate cancer cells by about 80 percent. According to studies, adding 8 to 10 grams of cayenne pepper in every meal decreases hunger after meals and decreases calories consumed during subsequent meals. Furthermore, other studies have stated that calorie burning by the body rises slightly when 10 grams of cayenne is added to a meal. In human trials, investigations provided evidence in favor of the beneficial effect of capsaicin on the gastric mucosa that lines your stomach. Also, cayenne is rich in vitamins A and C as well as B complex vitamins, potassium, and calcium, which helps the body repair the lining of the stomach and intestines. Many people use cayenne pepper ointments to treat arthritis, back pain, neuropathy, fibromyalgia as well as shingles. Mix cayenne pepper and olive oil, heat them in the double boiler for 10 minutes over medium heat. Stir in grated beeswax and continue to stir until it has melted completely. Let the mixture cool down and then whisk vigorously. After that, put it into a glass jar, and store in the fridge. It will keep for 10 days. To use, apply directly to the skin (using a spoon) daily when experiencing pain. Make sure to wash your hands with diluted vinegar to remove any capsicum left on your hands. According to the University of Cincinnati study, applying capsaicin to specific skin parts, which caused sensory nerves in the skin to trigger signals in the nervous system. These signals activate cellular “pro-survival” pathways in the heart which protect the muscle. Scientists observed an 85 percent reduction in cardiac cell death when capsaicin was used. The capsaicin has no known side effects when it is used in medicine. It is advisable to consume cayenne pepper tea. Just put 1 teaspoon of cayenne pepper in hot water, and you will easily prevent a heart attack or as heart attack sufferers wait for an ambulance to arrive.